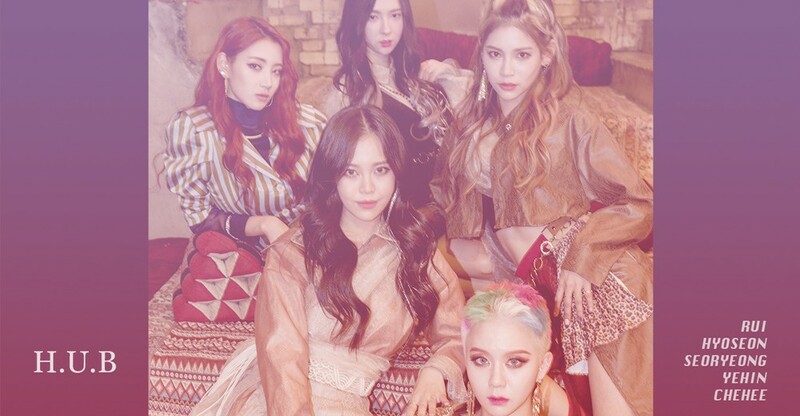 On November 2, New Planet Entertainment announced that rookie girl group H.U.B is set to make a comeback for the first time in 7 months. Back in April, H.U.B recruited 3 new members Seoryung, Chaehee, and Yein. The 5-member girl group will now return with a brand new digital single of a Moonbahton genre, titled "Finale". The girls' full comeback is scheduled for November 9. Moonbahton? Yikes. (By the way, it's moombahton.) I listen to almost all music genres. But there are a handful of genres I can't stand, one of them being moombahton. Let's see what they'll put out. I'm happy to see Rui back.